I am a Los Angeles product photographer who specializes in clean photographs on white. I've been photographing products in Los Angeles for over a decade and I hope that if you are looking for someone to handle your commercial photography needs that shall consider me. I'm easy to work with, very good at my craft, and committed to offering quality in everything that I deliver through my business. Please consider me if you're looking for Los Angeles product photographers. 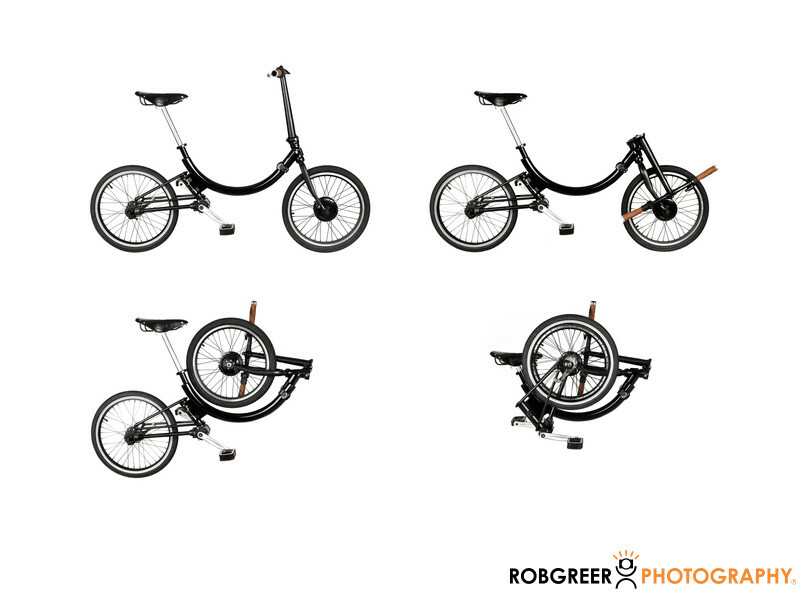 This photograph features product photography on a white background illustrating the steps required to create a folding bicycle. This image was used as part of their commercial advertising campaign was also submitted to the press and thus appeared in several newspapers and magazines around the country. This particular bike was a preproduction model and I'm not sure if it made it to production. However, I think that the images here offer a great idea as to my skills in creating amazing product photography showing detailed steps with difficult subject matter.